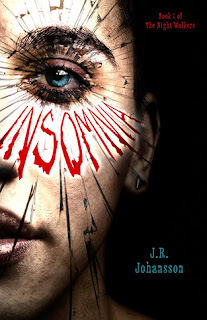 Today Bookanista Carrie is being scared by INSOMNIA by JR Johansson. Carrie says, "I've decided to nickname Johansson 'Scary McScarypants,' because she spooked me in all the best ways." Find out why you want to be scared with this YA thriller too!